Sill Shields fix a common problem in under 2 minutes! 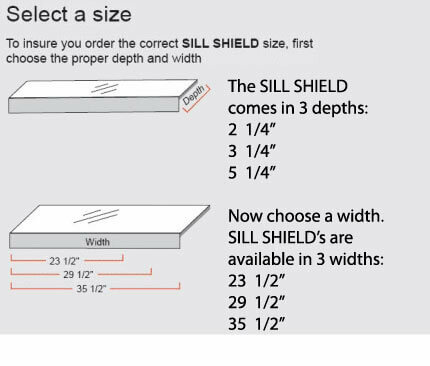 The Sill Shield™ price will reflect the selected Sill Shield Width: $11.99 for the 23 1/2" Width, $13.99 for the 29 1/2" Width, and $15.99 for the 35 1/2" Width. Need a different width and/or depth? We offer custom sizes as well! I can also help if you need a notch or other customization. 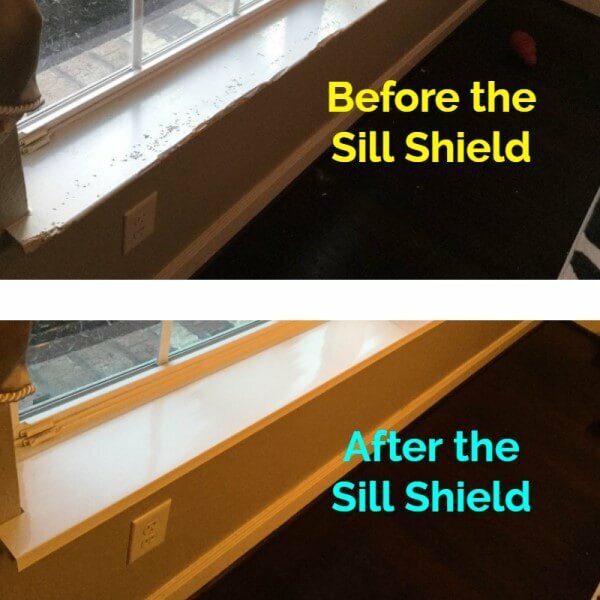 Welcome to my Sill Shield window sill protector site, the only site for custom shields and standard shields in both clear and white. All of my Sill Shields have a 1” drop in the front to wrap around the corner of the sill. You can order online, or by phone at 845-477-0737. After years of constantly repainting my sills, they finally got to the point where the wood was so damaged, they had to be replaced. I wasn’t able to find a product to protect the new ones, so I created the first Sill Shield. My sills are white, so I chose a white outdoor grade U.V. material to resist yellowing. It worked so well that I decided to offer it to everyone in a few standard sizes. They were an instant success but I began to get requests for more standard sizes, so now there are 9 and from those people with colored or natural wood, requests for a clear version. For the clear, I chose a material called PETG, a tough, clear material best known for making blister packs. 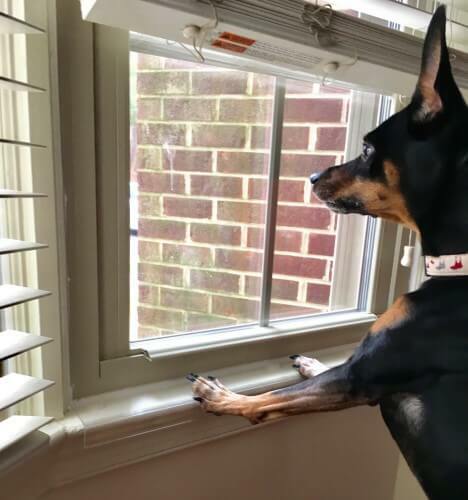 I asked a few select pet product companies to help distribute the standard sizes of my product and of course, there have been a few copycats but none of those approach the quality of my original Sill Shield. That’s why I’m the only one to offer my exclusive lifetime guarantee: As long as I’m alive, they’re guaranteed - When I’m gone you’re on your own. Please see the size chart below to check out the standard sizes. 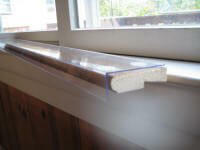 If none of the standard sizes work for you, then check out my custom size Sill Shield page. I ordered the sill shield as I had just finished painted. It fits perfectly, looks great and. Obviously does the job. Equally important were my dealings with the owner Gary, the owner. Just outstanding in his service and commitment to the customer. I have already bought other products from Gary and will continue to do so. We have a "new to us" old dog who does not share our ideas of household decorum. He has been a window and counter top surfer in his previous life. The window sill covers are a nice way to save the woodwork while we retrain. 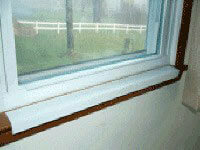 Sill Shields were just the ticket to turn my old, beat up, dog scratched window sills into a thing of beauty. No more yearly sanding, priming, painting. Sill Shields are my dream come true. This product as well as the customer service is awesome! These are easy to install and the best quality product available.. My wife is ecstatic with the results.. I bought two last year and my wife asked me to buy three more recently. This is so easy to install. 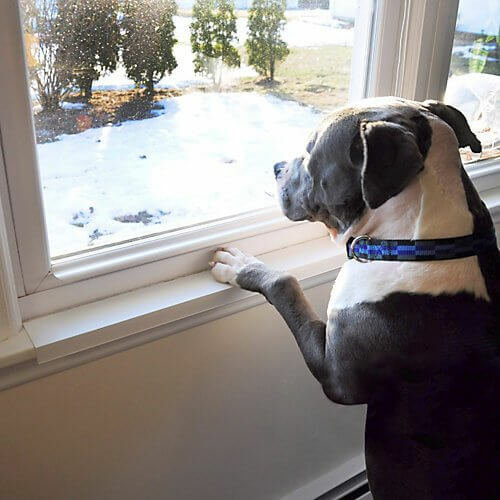 Protects from the dogs nails scratching everything when they stand on the sills; protects them from gnawing on the sill (puppy) and protects from drool. Company is fabulous to deal with - fast communication, knowledgeable, and fast shipping.